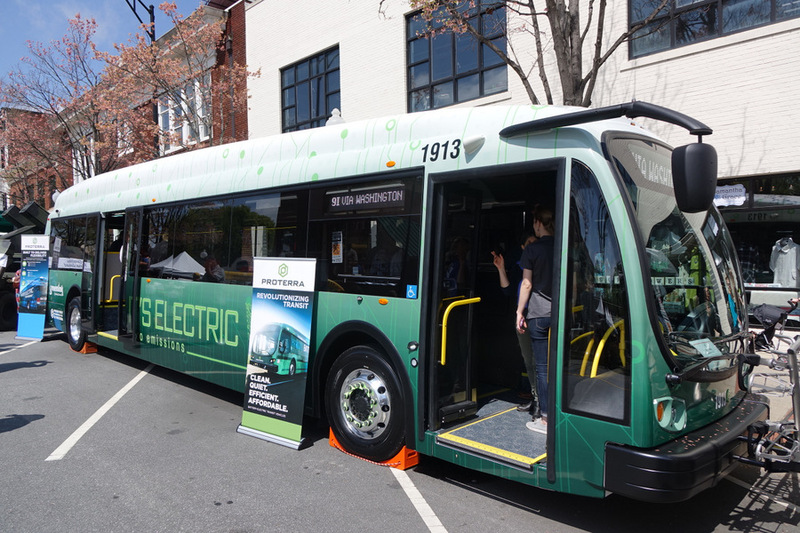 Greenlink has purchased four new electric buses, made by local manufacturer Proterra to replace four of the old diesel buses. This bus was on display at the Imagine Upstate festival. 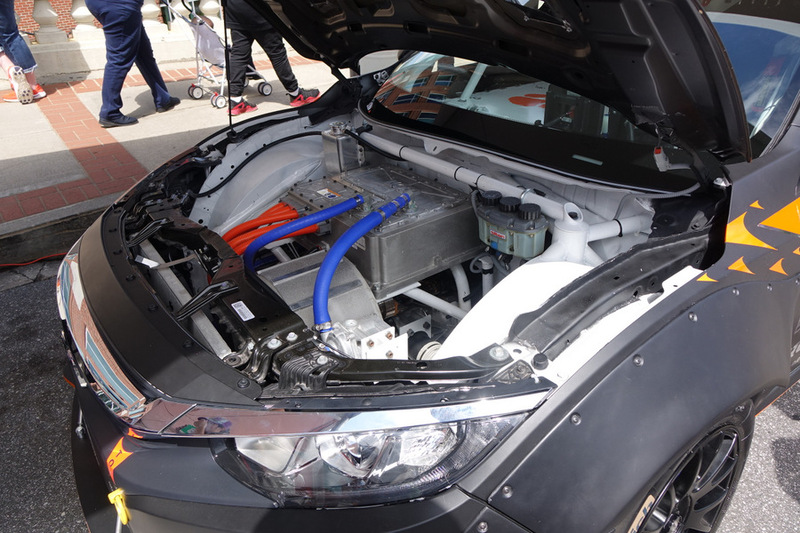 They are expected to go into service next month after training and the charging station is ready. 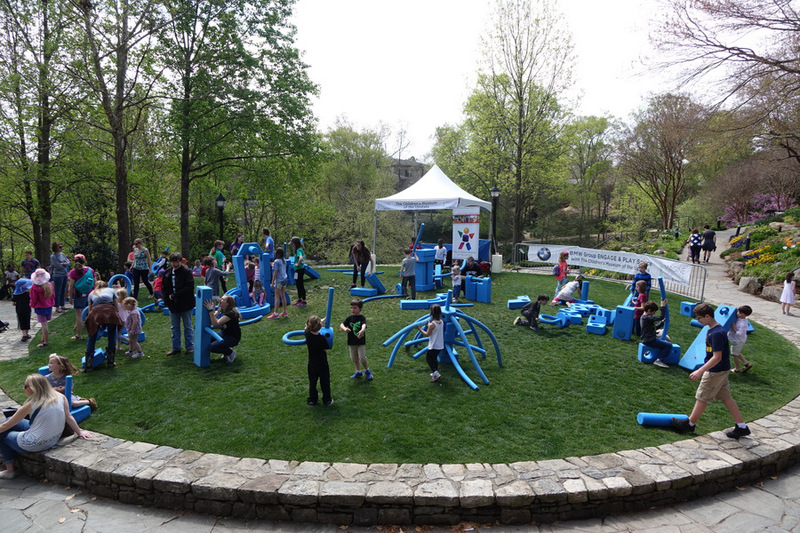 This engagement area in Falls park gave squishy building parts to children to create structures during the Imagine Upstate STEAM * festival. 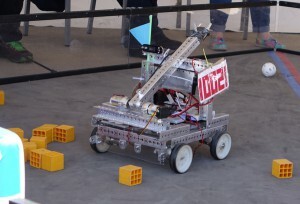 The Imagine Upstate STEM festival was held over the weekend. 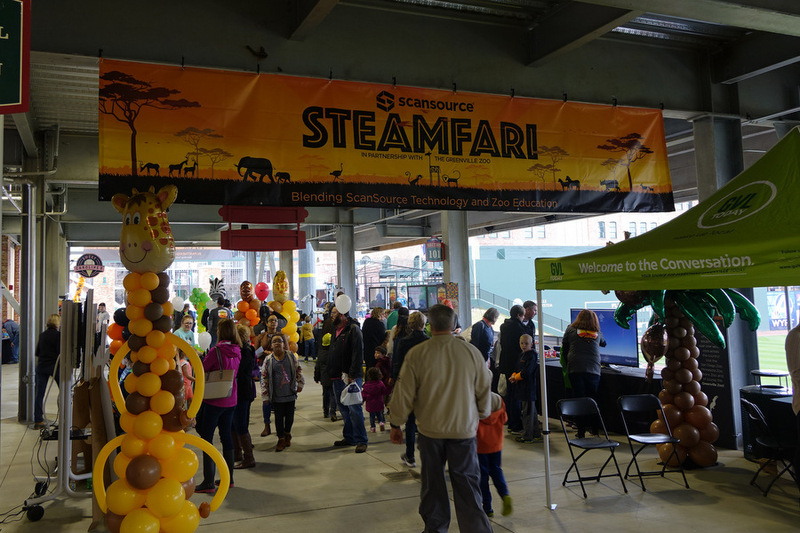 There were many engaging exhibits and activities to fuel the imagination such as robotics, drones and other science related booths. 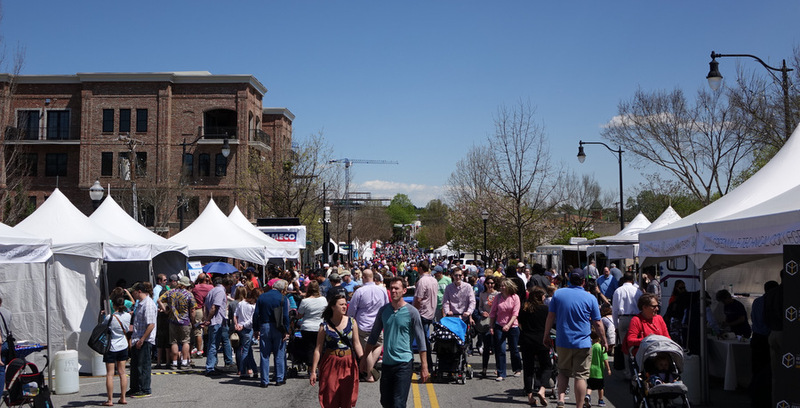 The Imagine Upstate Festival was held a week ago in the West End of Greenville. Here a robot tosses randomly tosses balls to the waiting group. As part of Imagine Upstate, the Red and Blue FIRST Tech Teams faced off their self-built robots in a challenge of many tasks. 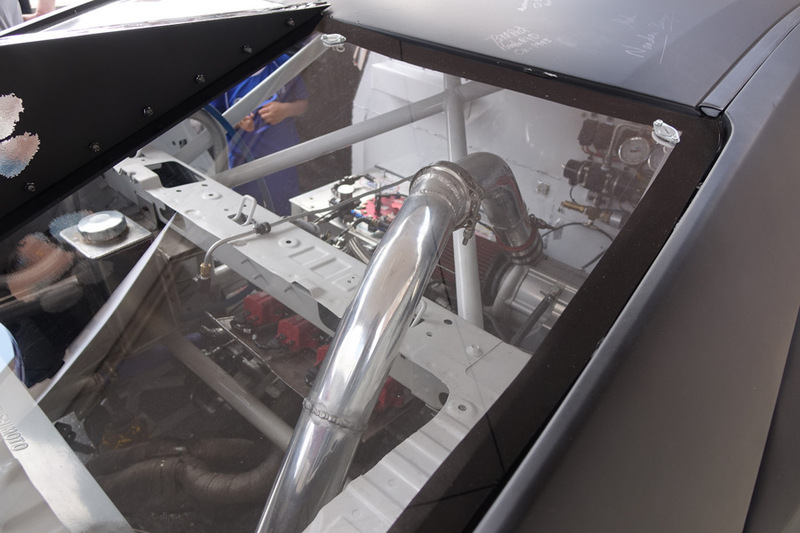 There is teamwork and strategy involved – objects must be collected and organized. Other objects must be placed in containers. Another challenge is to climb the mountain and rescue stranded ‘climbers’. 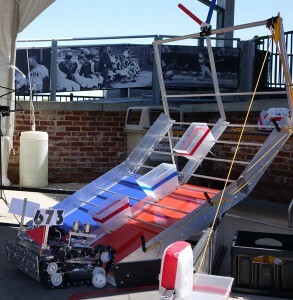 The most agile robots can even do ‘pull-ups’ on the bars at the top. 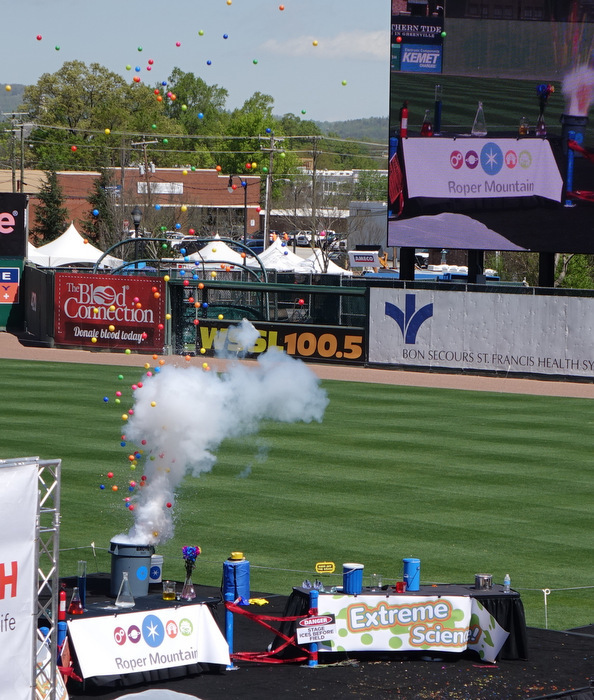 As part of the Imagine Upstate festival which featured STEAM (Science, Technology, Engineering, Arts, and Math), there was demonstration by the Roper Mountain Science center which featured chemical reactions. This explosion in a trash can sent many balls skyward along with the smoke. The Imagine Upstate festival was held in the West End on South Main Street and Fluor Field. A beautiful day brought many families to see the exhibits. This demonstration at the Imaging Upstate festival proves that there really are alternatives to the wheel. By carefully pairing these square wheels to the riding surface, the ride turns out to be perfectly smooth! There was also an art bike parade with about a dozen specially decorated and uniquely constructed bicycles. Drone Demonstration at the Imagine Upstate festival in downtown Greenville. It was like attending a science fair in the streets. Kids loved the wide variety of interactive displays, ranging from robots to hovercrafts.